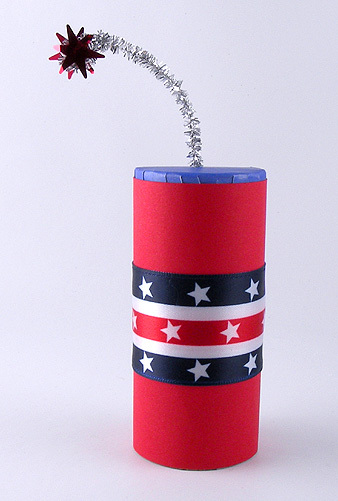 Here is an easy way to make safe firecracker favors that are sure to make a bang at your Fourth of July celebration. They are made from paper towel rolls and filled with bubble wrap. 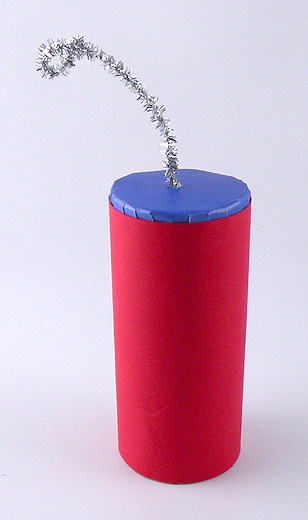 I left the bottom of the tube open so you can pop the bubble wrap with your fingers to make a firecracker sound. These are great party favors for everyone…popping bubble wrap is fun at any age. Step 1: Cut a 4 inch piece of the paper towel roll. Step 2: Cut a 12 x 4 inch piece of bubble wrap. 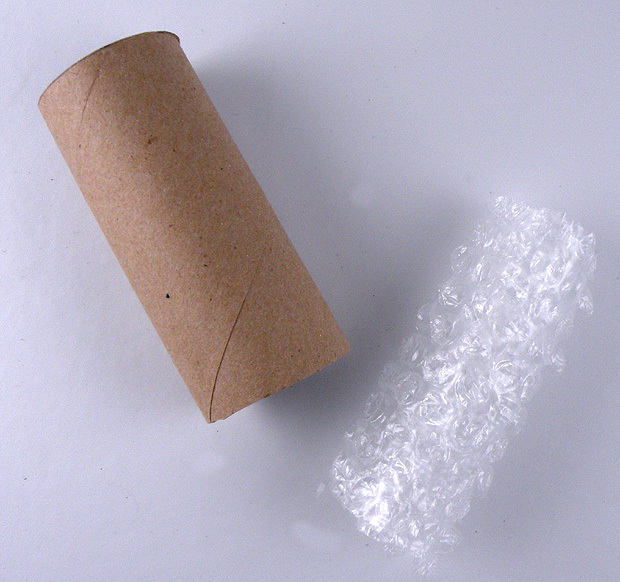 Roll the short end of the bubble wrap into a tube and insert it into the paper towel tube. Apply pieces of tape on one end to secure. 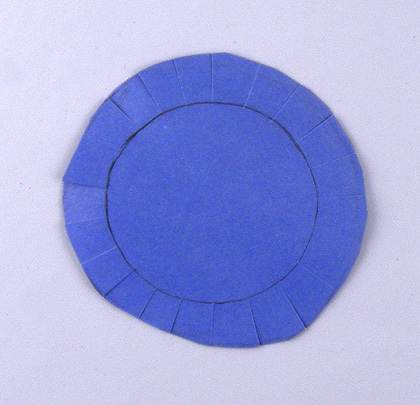 Step 3: Trace the top of the roll on the wrong side of the blue cardstock and cut slightly larger than the traced circle. Cut slits into the edges of the circle outside the traced circle. Step 4: Cut a 5 inch piece of pipe cleaner. 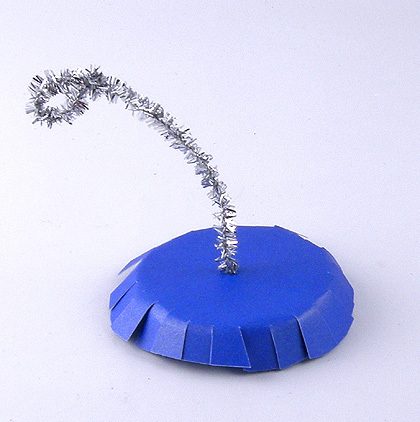 Punch a hole in the center of the blue cardstock circle and feed the pipe cleaner through, looping the ends on both sides. Apply a small amount of craft glue to the wrong side of the blue circle where the pipe cleaner meets to secure. Step 5: Using craft glue, attach the cardstock to one end of the the tube. Step 6: Cut a piece of red cardstock the length of the tube and the width to wrap around the entire roll plus 1 inch for overlap. 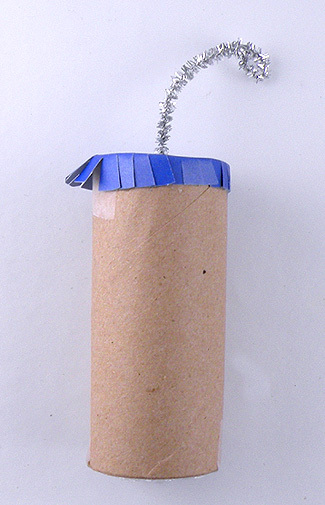 Step 7: Apply craft glue to the back of the paper and wrap it around the paper towel tube, overlapping the edges. Step 8: Cut a piece of the ribbon the length to wrap around the paper towel roll piece plus 1 inch for overlap. On the wrong side of the ribbon, fold over ½ inch of the ribbon end and glue for a finished edge. Step 9: Apply craft glue to the back of the ribbon and wrap it around the center of the paper towel tube, overlapping the raw edge of the ribbon with the finished edge. 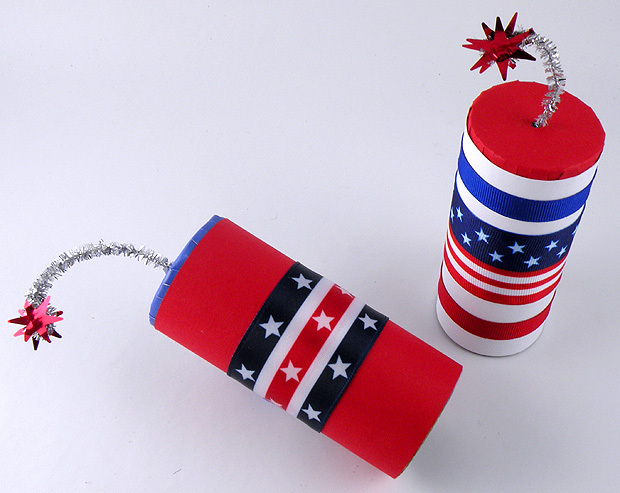 Step 10: Glue a red star on both sides of the top of the wick to complete your popping firecracker. Be creative and experiment with different colors and patterns. The bubble wrap can be removed and refilled with new bubble wrap once all of the bubbles have been popped. 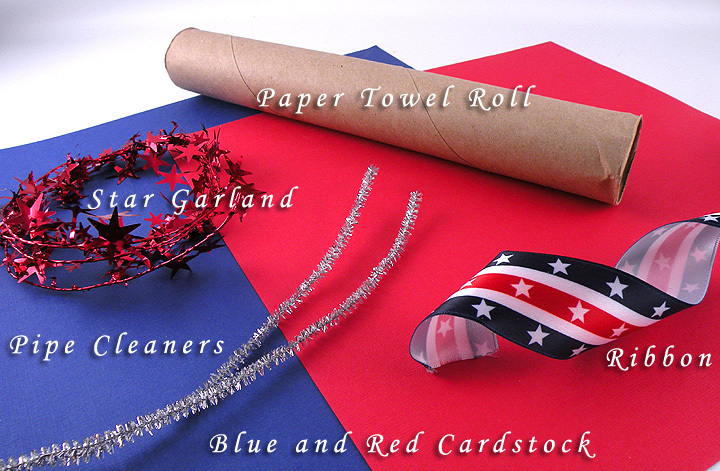 This entry was posted in Crafts, gina tepper, Holidays, Recycle, reuse, reuseable and tagged 4th of July, bubble wrap, firecracker favors, firecrackers, fourth of july, Gina Tepper, kids crafts, paper towel roll firecrackers, safe firecrackers, star garland, toilet paper roll firecrackers. Bookmark the permalink.